Words are slippery things, especially in my world. When do you use art, or arts? What exactly is an artist? What does culture cover? What constitutes our heritage? What is a community, and who belongs to it? Where are the limits of creativity? And it becomes worse when you start linking those words. What exactly are the creative industries? There are various definitions currently in circulation. What are community arts or voluntary arts, and are they the same thing? And what exactly is cultural heritage? Add the words Scotland or Scottish into the mix and you’re really in trouble. I wonder how different Creative Scotland’s reception would have been if it had adopted a name that didn’t yoke those contentious terms together. The amount of ink spent on defining Scottish culture could probably fill Loch Ness, and as we near the referendum debate, it may be blood that gets spilled on the subject rather than just ink. Consider some of the contortions we get into in trying to make these words and phrases work for us. The Act which set up Creative Scotland referred to it being the ‘lead cultural body’ for Scotland. Yet most definitions of culture would include heritage, and Creative Scotland has no remit whatsoever for heritage, not even a coordinating role such as, after much heated debate, it was given in the creative industries. Officers of Creative Scotland gave a presentation on their funding schemes during Go North recently. They split their schemes into the three categories of arts, film and digital, and creative industries, and then split the last term into those areas of the creative industries which Creative Scotland actually funded, and those for which it only had an overview, such as architecture and design. There could not be a clearer demonstration of the extent to which Creative Scotland is not yet more than the sum of the disparate parts from which it was made. Those categories make no sense to an artist who uses film in their gallery-based practice, and works as, say, a film editor to pay the mortgage. This confusion between ‘the arts’ and ‘the creative industries’ has direct and largely negative impacts in the actions of other public bodies. The economic development departments of Local Authorities can prioritise the creative industries at the same time as their education or community departments are cutting their arts budgets, in apparent ignorance of the fact that many, if not most, successful initiatives in the creative industries will have their origins in some form of arts funding, whether it be an arts school course, an arts centre, or a bursary scheme. ‘Sticks and Stones may break my bones but website comments pages will never harm me’. No matter how much we may tell ourselves that the deluded souls who append their angry online comments to stories on arts funding, don’t know whereof they fulminate, it still hurts. Why don’t the general public ‘get’ the value of the arts, after all the evidence that research has produced? Mostly, because they don’t speak the language. You will have to take me on trust when I tell you that I had written this much of the blog before I thought to apply these arguments to Fiona Hyslop’s Talbot Rice lecture of June 5th. In this much commented-on speech of some 7000 words, the Cabinet Secretary used the term ‘culture and heritage’, or such close variations as ‘our culture and our heritage’, some 50 times. She used the term ‘arts’ just five times. So, what kind of definition of culture is Ms Hyslop using, that does not include heritage? Certainly not one that, for instance, the European Commission would recognise. To compound the confusion, Ms Hyslop also used the phrases ‘culture and creativity’ and ‘cultural and creative industries’, suggesting that the creative industries are not culture, and that culture is not about creativity. I’m sure that wasn’t what she meant. This is not mere nit-picking semantics. It suggests that we have developed a deep-seated embarrassment about using the term ‘arts’. I include myself in that ‘we’, having in recent years shifted my strapline for HI~Arts from an arts development agency to a cultural development agency, although that was intended to reflect our increasing engagement with the museums sector. More than twenty years ago, when I was at the Scottish Arts Council, I, and Combined Arts Director John Murphy, had dinner with Shetland’s then Director of Education, and we had a revealing discussion about the culture/arts dichotomy. The Director of Education stated that, in Shetland, they were more comfortable with the inclusive notion of ‘culture’; John and I, on the other hand, wanted to stick with ‘arts’ because, at least, we could be clear about what we were talking about, and where our remit began and ended. As many people have commented, there is much that is positive and hopeful in Ms Hyslop’s speech, but that troubling imbalance between the terms ‘arts’ on the one hand, and ‘culture and heritage’ on the other, suggests that language may still be an obstacle to real consensus and progress. And what, then, of the term ‘artist’? In the lexicon of arts bureaucrats such as myself, ‘artist’ means everyone who creates artistic stuff—musicians, writers, actors, theatre directors, dancers, and so on. People who paint and sculpt are visual artists. It’s a clumsy arrangement. But even within the visual arts the term ‘artist’ is a contested one. A couple of discussions that I’ve been involved in recently have suggested to me, indeed, that ‘artist’ has become a limiting term. On the one hand, art-lovers of a more conservative taste can’t understand why people like Damien Hirst or Martin Creed can be termed ‘artists’ at all. Pickling a shark or switching the lights on and off is not painting a picture. On the other hand, I heard one ‘artist’ decry the term as applied to himself, because it means that people expect him to make things when his work is much more about actions, connections, critical debate and challenging norms. I think we need a new word. Not a different word, a new word. The term ‘scientist’ did not exist before it was deliberately coined in 1833. Before that, people had ‘done’ science all the way back to the Greeks and the Babylonians, but they were usually called something like ‘natural philosophers’ (or, sometimes, ‘alchemists’). But by the early 19th century the increasingly technical practice of people like Humphrey Davey and Michael Faraday demanded a term that would distinguish their experimental approach from those who just thought about how the world worked. I’m not going to be rash enough to suggest a suitable neologism. But I suspect that inventing a truly new term would help to get us out of the confusion we’re now in, where arts, culture and creativity are bandied about, even in the one speech, with a reckless abandon that makes it very difficult for anyone to get any real traction on what’s actually being proposed. If we really want to change the minds of those philistines who spill their bile in online comments, we need to take the slipperiness out of our language. 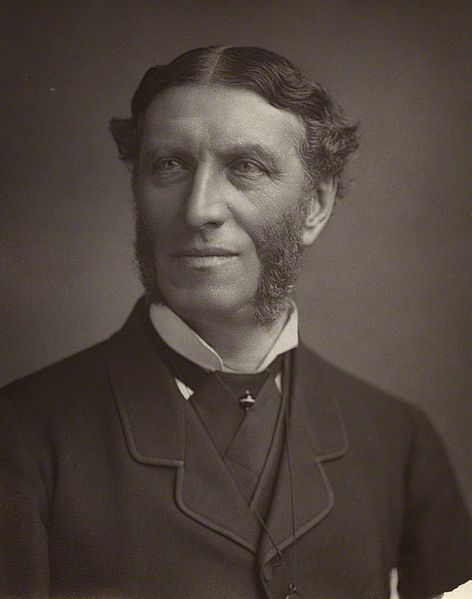 Otherwise, with apologies to Matthew Arnold, our approach to culture will remain anarchic.